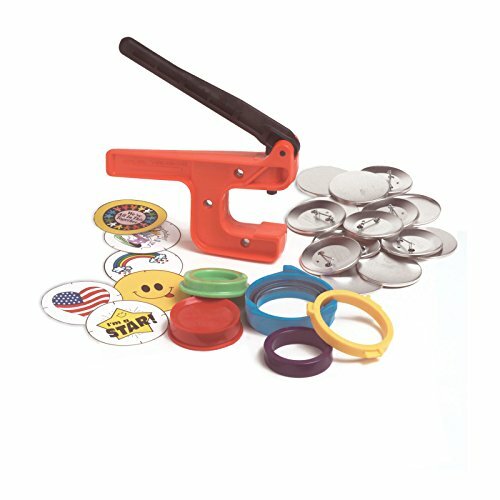 Are you looking for the best deal on a button maker (aka badge press) machine? We’ve researched the best options available and created this guide to make the decision easy for you. Custom buttons are great for any function, from political campaigns to school spirit, it’s no doubt that badges help you to spread your message far and wide. Some people have even made entire businesses based on custom badges, as they are used for all sorts of events and are always in demand. If you’re looking at getting a badge maker but you aren’t sure which one is best for your use, follow along below as we cover the best options in button makers. This section reviews the best options for non-professional badge makers, these are best if you only want to use the machine occasionally for smaller amounts of badges. World's Lowest-Priced Button Maker - and Made is the USA! Start a Button Business and Make $25+ per hour! Promote your candidate or cause! 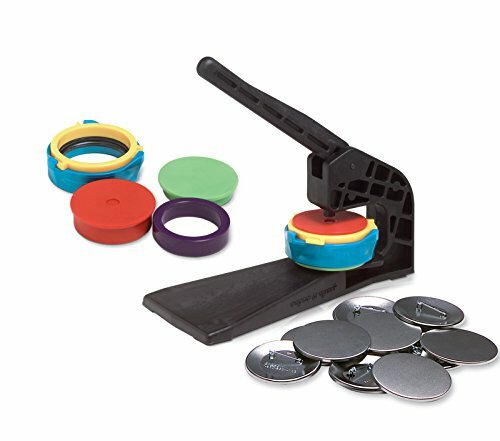 The Badge-A-Minit Machine is about the absolute cheapest way to get started making buttons. This machine was designed to be used for first-timers that want to get their feet wet with making buttons, and it does a great job of that. With super easy setup instructions and a very quick learning curve, you can be on your way to making professional looking badges in minutes. As a bonus, Badge-A-Minit includes everything in this starter kit that you need to make your first 10 badges. Not bad! If you’re looking to make more than a few badges, the Badge-A-Minit Deluxe kit is made for you. The biggest improvement that the deluxe model has over the standard starter kit is a much better design for the press. The deluxe has a built-in stand that sits on your work surface, saving your hands from having to squeeze every badge manually. The deluxe version also includes enough materials to build 5 times as many badges, 50 of them, vs only ten like the starter kit includes. This version is a much better choice if you plan on making batches of badges regularly. 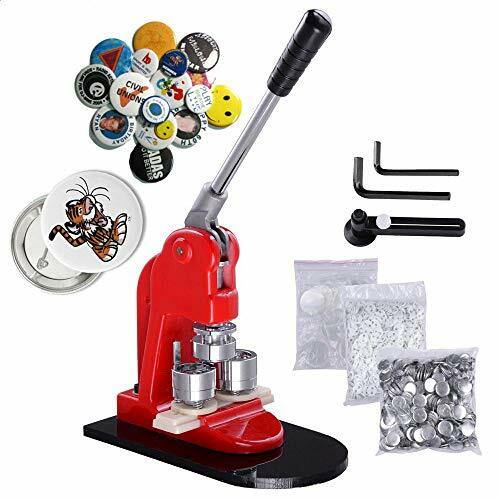 If you’re looking for a badge maker that is designed to make the smaller 1″ buttons, look no further than this press by Mophorn. This badge machine has the best reviews out of all the similar versions, which look to all be very close in design or even copies of the same design. Aside from the promising reviews, the other reason to choose this machine is that it comes with enough materials to make 1000 buttons, which is quite generous. Operation seems pretty simple, print out your custom pictures, use the included circle cutter to punch them out individually, grab a backer and a mylar, insert and finally press together.